Primary research is both exciting and highly important to costume research as it can inform our own sewing work. I started a search for lesser known costume collections within the United Kingdom and Ireland whilst at university, the following series of posts will highlight a selection of collections I have found. This month I have looked at the Midlands/Central England, I hope I can introduce you to some collections you didn't already know about. - This museum has almost 4500 items of women's, men's and children's clothing, accessories and textiles, mostly from the Eighteenth and Nineteenth Centuries. The museum holds the Whinyates Collection which includes items of costume worn by the Whinyates family in the early Nineteenth Century in Cheltenham and India. Locally made and sold garments and accessories are also held in this museum, mostly from the late Nineteenth Century; however there is also a small selection of National Costumes from around the world. Contact the museum for study visits or collection enquiries. Free entry. 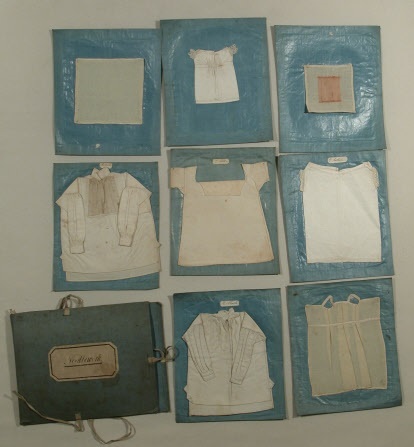 - This collection includes men's, women's and children's clothing and accessories, with the bulk of the collection from the Nineteenth and Twentieth Century; however some items and textiles are from the Eighteenth Century. I have personally been to study some of the museum's collection, including a number of costumes that feature in the Janet Arnold Patterns of Fashion books. The museum does not have their collection on display but they encourage study visits and these can be arranged in advance. Paid entry. - Largest fashion gallery outside of London, holds the extensive Symington Collection of underwear, swimwear and corsets as detailed in the books by Jill Salen. Costume and textile exhibitions throughout the year. Paid entry. 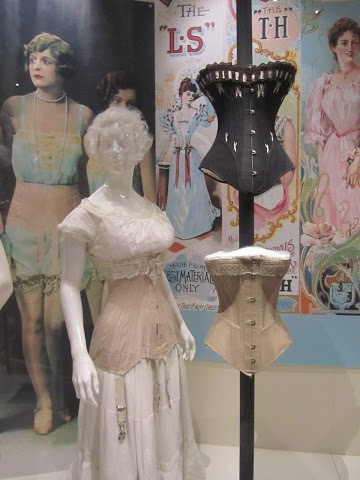 - This collection holds the Charles Page Wade Costume Collection, with over 2000 items ranging from corsets and doublets to shoes and hats. They were collected by the previous owner of Snowshill, Gloucestershire, but are now stored at Berrington Hall. The collection also holds many of the costumes from the Janet Arnold Patterns of Fashion books. 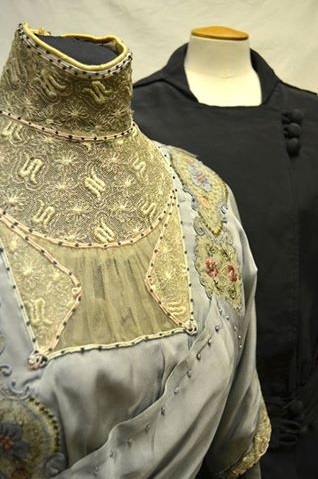 This years exhibitions include a Georgian display with costumes from the BBC's Pride & Prejudice, costumes from The Duchess, and original garments. 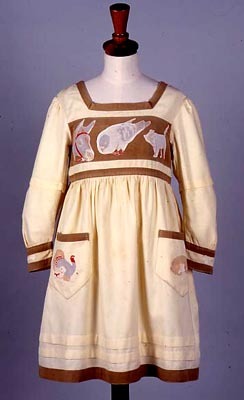 The museum also has a fantastic blog that gives a behind the scenes look at their collection: http://historicalcostume.wordpress.com/. Study visits can be arranged in advance. Paid entry, free to National Trust members. A collection of costume, accessories, fabrics and textiles from around the world, largely from the Nineteenth Century, but includes items from Nottingham export, Paul Smith. There is only a small selection on permanent show at the Castle, the rest of the collection is stored at Newstead Abbey. Available for advance bookings for study sessions. Paid entry. Needlework sampler book c1850-1860. Snowshill Wade Costume Collection. Image credit to National Trust Online Collections.